Mid Year Retreat, All Around Fun Event. ​Members of the Alpha Direct Agency enjoy a Summer Weekend Together. NEW YORK - July 10, 2018 - PRLog -- July 7th and 8th was the Mid Year Retreat (MYR) Weekend for Team Members at The Alpha Direct Agency, a preferred Insurance Agency for many City and Suburban dwellers and businesses alike. This year the company opened the MYR to include its Employees' Families. The Summer 2018 event was hosted at several establishments in Peekskill and Cortlandt Manor in Westchester County, New York. The Fun commenced Saturday at 1pm at Spins Hudson; a brand new arcade facility designed to engage children of all ages. While the children played to their digital card's content, the Parents enjoyed a brewery tour right next door at The River Outpost Brewing Co (https://riveroutpostbrewing.com/beer/) coupled with lunch. "The Brewery did not disappoint", says Emmanuel Osuyah, Principal at Alpha Direct Agency. "The tour was brief but enough to highlight the authenticity of the establishment plus the Managers were very kind to cater to the needs of our large party". A Hotel stay in the area followed the lunch date and the evening wrapped with a sumptuous dinner at Little Sorrento (Best of Westchester 2018 Winner) and one of Westchester's finest Italian restaurants. Gisbell Tejada the Agency's Operations Manager said, "they were kind to accommodate our large party and kept the delicious meals flowing out the kitchen". 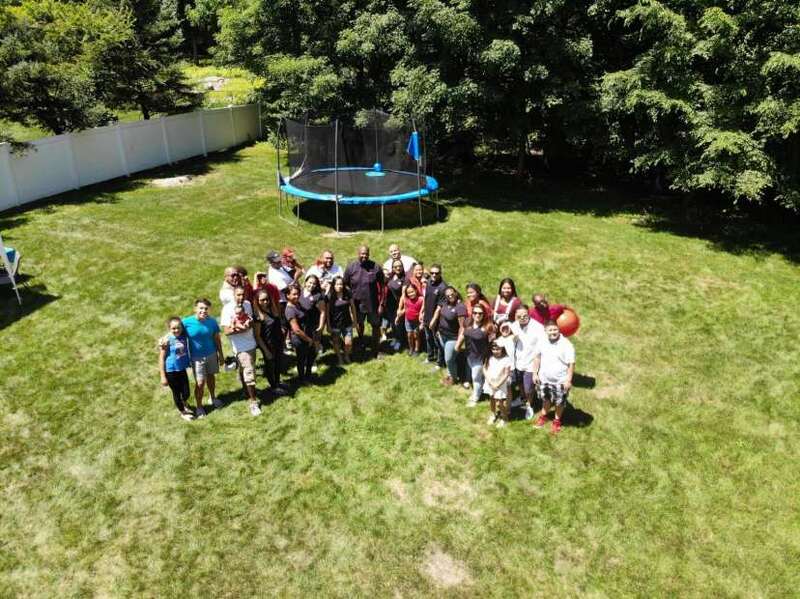 On Sunday the 8th, the events continued with Family photos, a State of the Company Presentation by the Owner and a backyard BBQ for the books. The shindig featured catered Nigerian food and fresh lean hamburgers, water slide, giant Jenga, lively music and lots to eat and drink. "We will never do enough to appreciate each member of our Team. As we continue to grow we will find more ways to express our appreciation" emphasized the Owner. Yinette Betances received a 5 year Service Award in addition to a Sales Performance Award, and Andrea Barrios was recognized with a Sales Award for strong year-to-date performance. Special Thanks to the accommodations and event Management Staff at the following establishments:Holiday Inn Express & Suites Peekskill-Hudson Valley, Little Sorrento Restaurant, Spins Hudson and River Outpost Brewing Co.